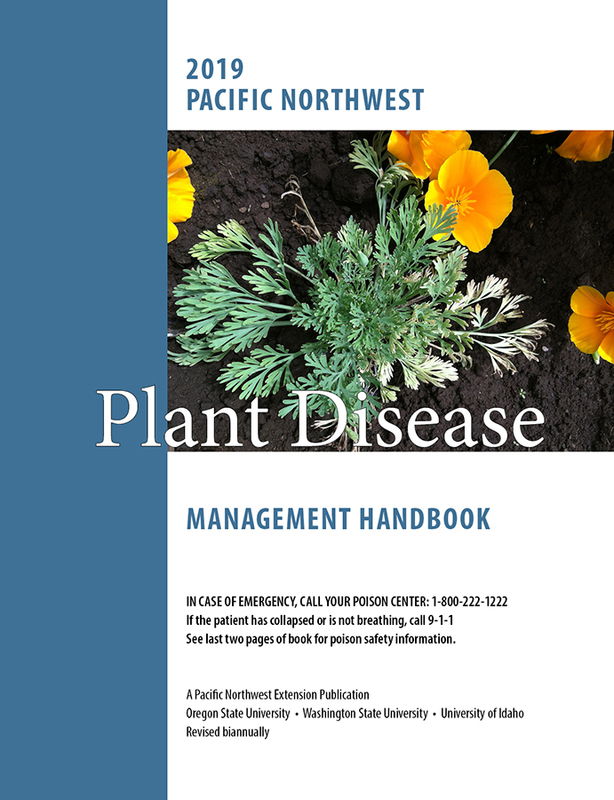 The PNW Plant Disease Management Handbook is published in print and online. Both formats contain the same content and are revised on the same schedule. The online version also contains supplemental content, such as photos and related links. A general guideline and best practice is to cite the version (print or online) that was consulted when preparing a manuscript. Pscheidt, J.W., and Ocamb, C.M., senior editors. 2019. Pacific Northwest Plant Disease Management Handbook [online]. Corvallis, OR: Oregon State University. http://pnwhandbooks.org/plantdisease (accessed 31 March 2019). Ocamb, C.M., and Gent, D.H. Hop (Humulus lupulus)-abiotic wilt. In: Pscheidt, J.W., and Ocamb, C.M., senior editors. 2019. Pacific Northwest Plant Disease Management Handbook [online]. Corvallis, OR: Oregon State University. http://pnwhandbooks.org/plantdisease/hop-humulus-lupulus-abiotic-wilt (accessed 31 March 2019). Grass for seed-rusts. In: Pscheidt, J.W., and Ocamb, C.M., senior editors. 2019. Pacific Northwest Plant Disease Management Handbook [online]. Corvallis, OR: Oregon State University. http://pnwhandbooks.org/plantdisease/grass-seed-rusts (accessed 31 March 2019). Pscheidt, J.W., and Ocamb, C.M., senior editors. 2019. Pacific Northwest Plant Disease Management Handbook. Corvallis, OR: Oregon State University. Ocamb, C.M., and Gent, D.H. Hop (Humulus lupulus)-abiotic wilt. In: Pscheidt, J.W., and Ocamb, C.M., senior editors. 2019. Pacific Northwest Plant Disease Management Handbook. Corvallis, OR: Oregon State University. p. 4H-18. Grass for seed-rusts. In: Pscheidt, J.W., and Ocamb, C.M., senior editors. 2019. Pacific Northwest Plant Disease Management Handbook. Corvallis, OR: Oregon State University. p. 4G-42-4G-44. Photos and related links are provided by authors for informational purposes and do not constitute endorsement or approval by the participating Extension Services. See each image for credit and copyright information. For permission to use a photo contact the senior handbook editors.